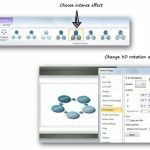 Making flow charts in PowerPoint can help to describe the entire flow of a process as well as making comprehensive funnel analysis presentations for sales and management but also to be used in other complex industries and presentations. 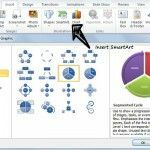 We have created this post to organize some of the ideas we had to make flow charts in PowerPoint 2010 and 2013 so you can make this sort of diagrams and slides using Microsoft Office. There are many different types of flow charts, linear flow charts, circular flow charts, process flow chart, workflow chart, cross-functional flow chart, business process modeling diagrams or just a basic flow chart. 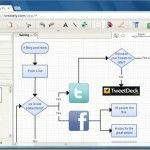 but if you want to learn how to make flow charts in PowerPoint then reusing some of our free flow chart templates can let you save time and money. To use this template you just need to download the flow chart PPT and then edit the slide content using shapes. 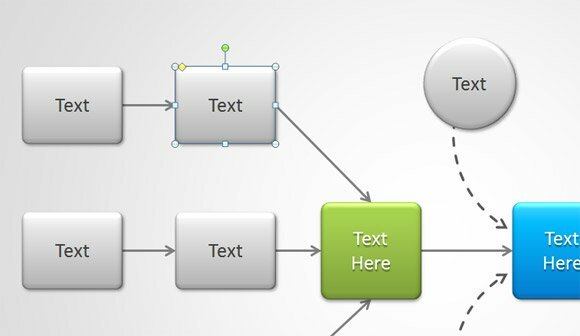 This article describes a way to make flow charts in PowerPoint using shapes, you can use this approach if you just need to make a basic flow chart for your slides and then use the connectors to connect the shapes together and form the flow. 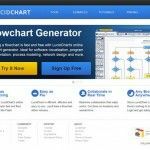 Another way to make attractive flow charts is by using one of the flow chart generator tools or flow chart makers. You can find free and paid tools available online or as a software. SmartDraw, Lucid Charts, FlowCharts.com are just examples of this kind of tools. 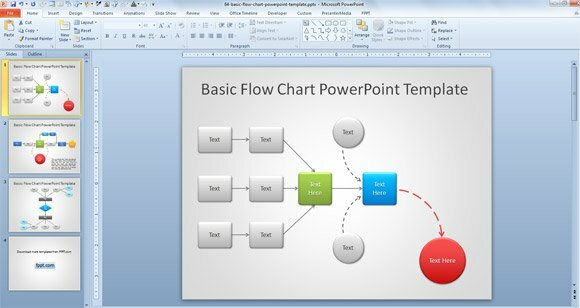 Once you generate your flow chart you can export the image and then import it in the PowerPoint slide. The drawback is that you’ll need to use the original software in case you need to edit the flow chart later. 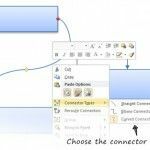 If you use Excel, then you can also make flow charts in Excel and then export the diagram to PowerPoint. This is especially convenient if you have Excel skills and you can take advantage of the free flow chart templates for Excel 2013 available on MS Office.com templates gallery. Alternatively you can also download free circular chart templates in PowerPoint like this awesome diagram that we have created for presentations using PPT shapes.